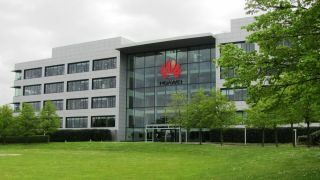 Huawei has once again reiterated that its telecommunications infrastructure gear is as secure as anyone’s, suggesting that the US government’s accusations are unfounded. During a press event in Brussels, Huawei’s cybersecurity director Sophie Batas told journalists that the company has faced more scrutiny than anyone else. “We are probably the most tested vendor in the world,” she said, according to Reuters. This comment came just a day after the US State Department cybersecurity official Robert Strayer said the country’s allies should critically exam any supplier that uses “risk-based security framework”. "I have difficulty believing that a government like the United States organised a press conference yesterday to single out one particular company, and I wonder why it is going so far,” Batas said. The US has been lobbying against Huawei for months now, saying its 5G infrastructure gear may be used by the Chinese government for espionage. It warned its allies not to include the Chinese company in their effort to build their 5G networks. Huawei, on the other hand, has been vocal in trying to curb this attempt, asking for proof of such claims on multiple occasions. It says it has never worked with the Chinese government, nor would it do so even if ordered. It invited EU officials to oversee its work and see for themselves if the gear is secure or not. A few months ago, the company CFO was arrested in Canada. She is wanted by US authorities under the suspicion of fraud. A Huawei employee was arrested in Poland, together with a Polish national, under the suspicion of espionage. He was later fired by the company.